Classic Legends, a subsidiary of the Mahindra Group, brought back the Jawa brand with the unveiling of three motorcycles yesterday in Mumbai. Of the bikes unveiled, two products were launched while the third will arrive in the first quarter of 2019. The variants that are available for bookings are the Jawa and Jawa Forty Two. 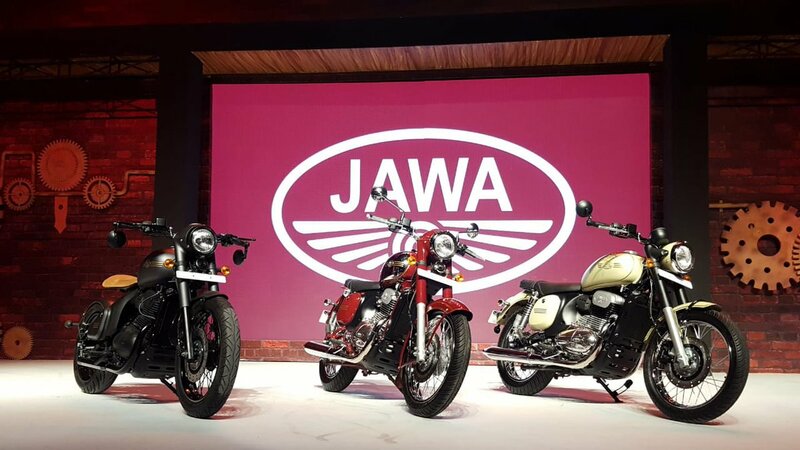 While the Jawa (centre) and Jawa Forty Two (right) have been launched in India, the Perak (Left) will arrive in the first quarter of the calendar year 2019. There are going to be three kinds of accessories – merchandise that is not bike related, beautification of bike accessories and there are going to be performance parts. Thareja and the company have remained tight-lipped about the list or its prices, but we should hear more details once the dealerships commence operations next month. To recap, both motorcycles bring back the legendary styling of the Jawa bikes while adding a bunch of modern features, the most notable being the BS-VI ready motor. The 293cc, liquid-cooled, single-cylinder, DOHC engine is tuned to deliver 27 bhp of maximum power and 28 Nm of peak torque. The engine is mated to a six-speed transmission. More modern tech includes a digital display integrated into the retro-style, single-pod instrument console, a 280mm disc brake at the front, and a single-channel ABS. The rear continues to feature a drum brake, but that may change with more variants in the future. A drum brake is not necessarily lower down in terms of performance. I can name many motorcycles that have a disc in front and a drum at the back combination until recently, and even now. It works beautifully... The most important part is that the drum looks beautiful. If you look at it, it is a very carefully crafted drum. It looks authentic and it gives that machine a period charm that we were looking for... A drum in fact in today’s world is a more complicated mechanism to generate that braking force. A disc is a much easier option to do but we wanted it to be authentic. The Jawa and Jawa Forty Two feature a single-channel ABS and disc brake at the front while at the rear is a drum unit. The setup is to give the motorcycles an authentic retro look. 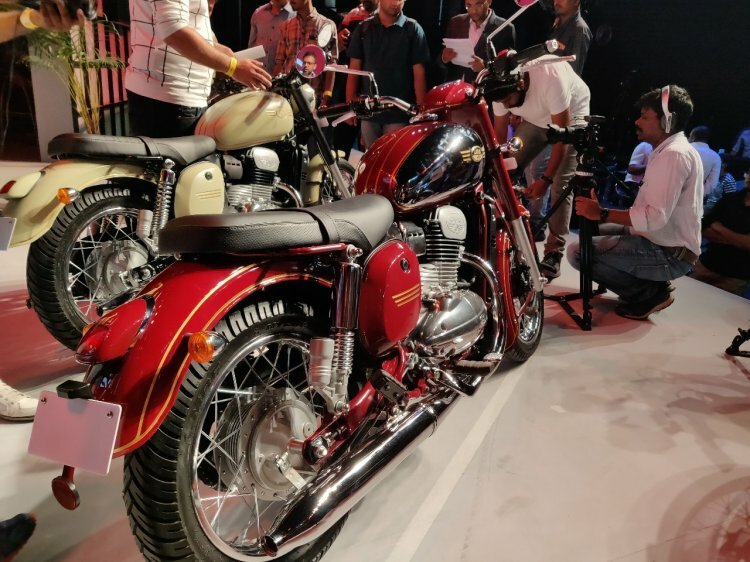 Classic Legends have launched the Jawa and Jawa Forty Two at ex-showroom Delhi prices of INR 1,64,000 and INR 1,55,000.